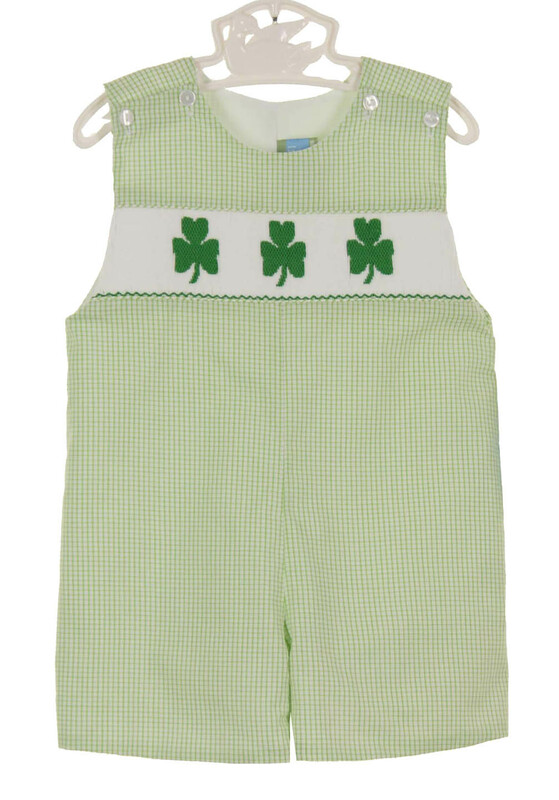 This adorable green checked smocked shortall is made by Anavini, a leading manufacturer of classic smocked children's clothing. 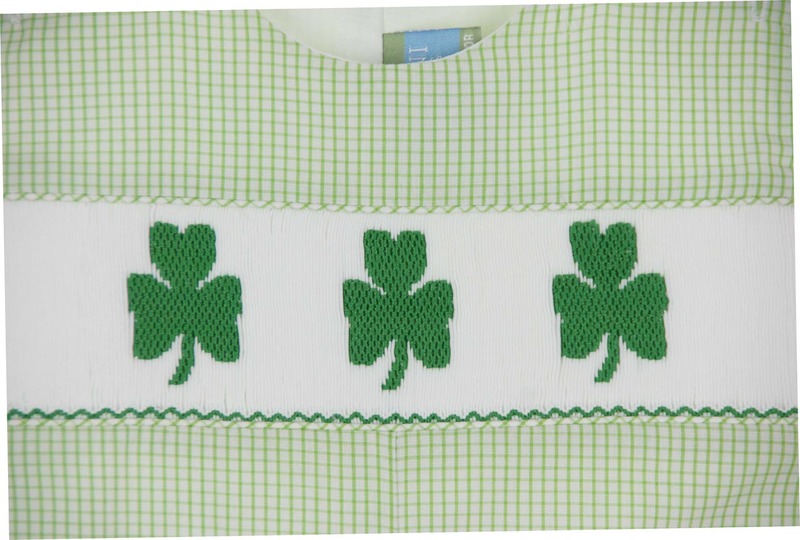 Perfect for St Patricks Day, this cotton john john has a row of white smocking on the chest embroidered green shamrocks. 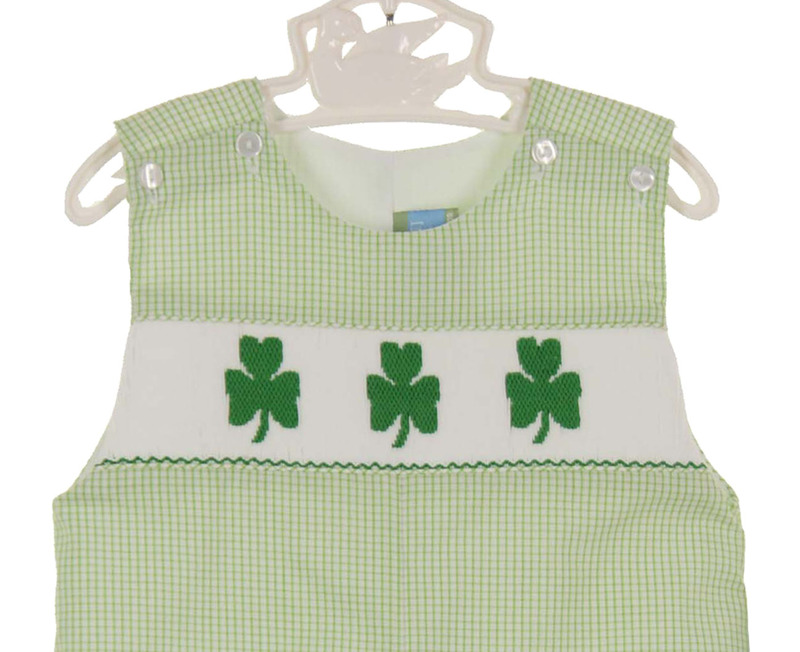 Shoulder buttons and crotch snaps ensure easy changes. Matching girls bubble is also available. See below.